They did well with the software aspects of touchscreen interfaces and machine vision, but overshot the runway on bezel-less devices and the general ubiquity of touchscreens themselves. There’s a touchscreen coffee mug! All the depicted applications (such as flexible high-FPS color e-ink) are shown without a batteries or other power sources. This is a mandatory omission in all such future fantasies. 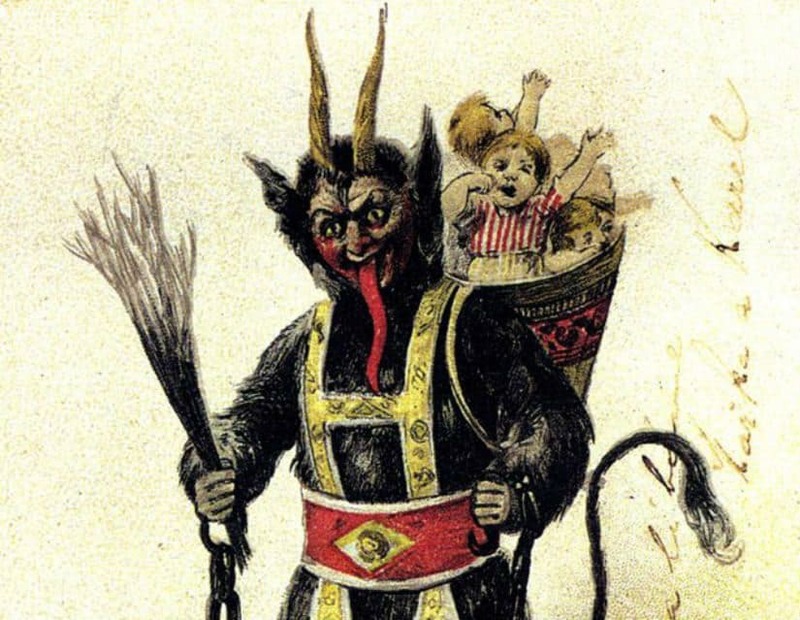 Fewer Christmas traditions are stranger than that of Krampus. Krampus, as you may or may not be aware, is St. Nicholas’s sinister (and lesser-known) demonic sidekick. 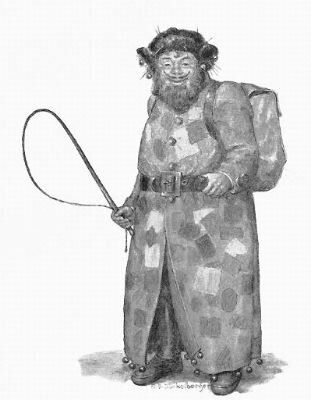 If old St. Nick is the good cop who rewards well-behaved children with gifts of toys, then Krampus is his bad cop counterpart: he punishes naughty children by beating them with birch switches (and by terrifying them with his demonic visage). Truly unlucky troublemakers might be kidnapped away in the basket he carries strapped to his back! The tradition recalls the old trope of saints vanquishing demons through the power of God and forcing them into their thrall, but likely has deeper roots in pre-Christian Alpine customs. Many Americans remain unfamiliar with Krampus, although his profile has grown in recent years (owing in part, no doubt, to the 2015 holiday horror film of the same name). But he is widely celebrated across several parts of Europe, including Austria, Bavaria, Hungary, and surrounding regions. According to Wikipedia, young men in these parts will traditionally “dress up as the Krampus in the first two weeks of December, particularly on the evening of 5 December, and roam the streets frightening children with rusty chains and bells.” So grab your mask, hit the streets, and get in the Krampus spirit! Just be prepared for some weird looks, if you’re not in Europe. Tom Pearcy, who works at York Maze, claims it is a world record for the largest pumpkin boat, weighing 619kg (1364lbs). As there is currently no recognised world record for the largest pumpkin boat, York Maze have applied to Guinness World Records to have this achievement recognised. A Bakezōri, or wandering sandal. According to Japanese folklore, sandals that have been mistreated by their owners can turn into a Yōkai called a Bakezōri. Per Wikipedia, Yōkai are “a class of supernatural monsters, spirits, and demons in Japanese folklore.” Japanese animism holds that “spirit-like entities called (among other things) mononoke […] reside in all things.” These spirits can be malevolent or merely mischievous; in some cases, they may bring good fortune to those who encounter them. Some inanimate objects — household tools, for example — can develop or acquire such a spirit over time, becoming Tsukumogami. By and large, these spirit-imbued tools tend to be harmless, although they may play occasional pranks or band together to take revenge on those who treat them poorly. 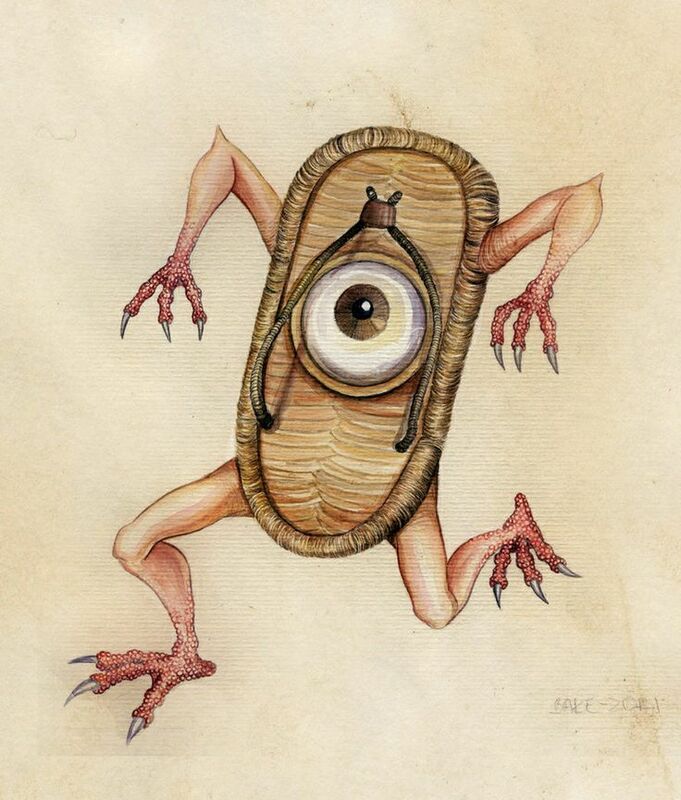 The Bakezōri, described as a wandering sandal with two arms, two legs, and one eye, belongs to this class of Yōkai. The kayaking fisherman, David Castaneda, reported the animal to Waukegan’s Animal Control, the Lake County News-Sun reported. The animal had its mouth taped shut, and initially reports described it as a caiman, but the Wildlife Discovery Center later confirmed it was indeed an American alligator. Dave Bernier, a general curator at Lincoln Park Zoo, suspects someone brought it to the area recently and that the gator hasn’t had to endure a Chicago January. “It would never be able to survive the winter here,” Bernier said. This isn’t the first time gators have been spotted in Chicagoland: another small alligator was captured in the Chicago River back in 2010. 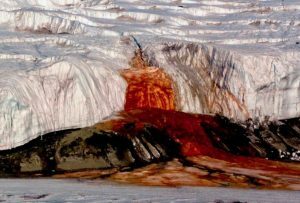 Given that these cold-blooded creatures can’t survive winters at these latitudes, it is likely they were pets that escaped or were released into the wild.